There was a time when rock stars could be relied on to be hell-raising headline grabbers, whose idea of a good time was to park a Bentley in a swimming pool or chase groupies round a hotel lobby. These days it’s all about chilling out in the country. 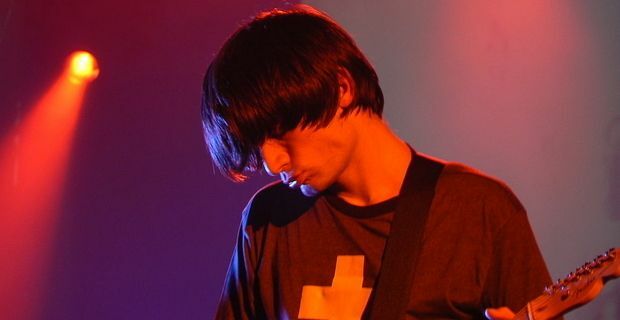 Just as we were getting used to the idea that Blur bassist Alex James has a passion for making his own cheese, we learn that Radiohead guitarist Jonny Greenwood like to relax by rearing chickens. When Greenwood, one of rock’s more staid lead guitarists, chats to his band mates about "getting laid", he is usually referring to egg production. "The chickens are OK," Greenwood told Uncut in one of the magazine’s less salacious interviews of recent times. "Pretty good layers. Eggs taste great. We get foxes every few years and it all goes a bit 'crime scene' when that happens – lots of burials. The foxes tend to take one or two and kill the rest." That at least is beginning to sound like the sort of grim scenario that might inspire a typical Thom Yorke lyric. In between their poultry farming duties, Radiohead have been flexing their musical muscle with some live shows. Their recent UK gigs were greeted by swooning critical adulation. The setlist leaned heavily on material from their most recent album The King Of Limbs, but included a few older favourites like 'Airbag' and 'Paranoid Android'. Newer material was also aired, including 'Identikit', 'Staircase' and 'These Are My Twisted Words'.